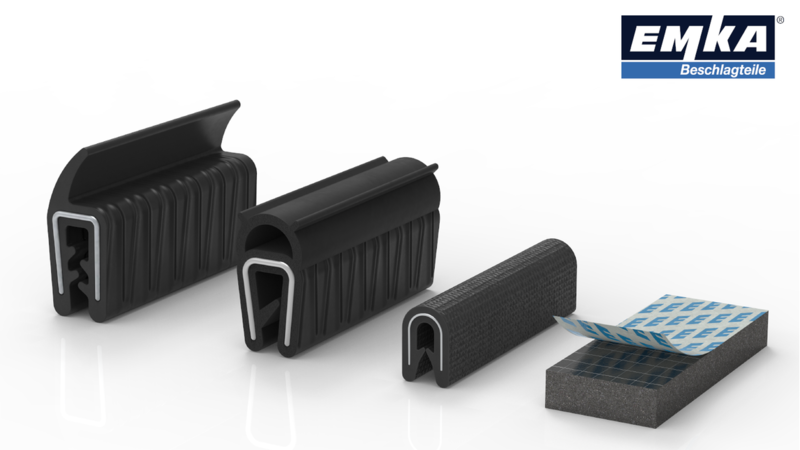 EMKA is specialised in extruding rubber and plastic profiles. At some plants in the UK and Spain rubber profiles are made in a wide range of types as standard and custom made solution. As carrier sections meshed tape and metalreinforced strips can be used and textile yarn can be worked in. Moreover, flocking is also possible. In the further processing department fixed lengths, vulcanised rings and frames can be made to size. Some EMKA branches have machines for vulcanising corner joints. The application of adhesive tape or lubricant varnish completes the range. EMKA know-how guarantees top quality. EMKA offers individual manufacturing made to customer specification. With its in-house tool and mould making as well as state-of-the-art development, manufacturing and testing methods a maximum of product quality and reliability is ensured.